In addition to some great answers to this week's question we received a few suggestions for the questions themselves. Thanks everyone for the input. Keep chatting us up. We're loving this! We'll be using one of your questions next week. In addition to some great answers to this week’s question we received a few suggestions for the questions themselves. Thanks everyone for the input and taking part. Keep chatting us up. We’re loving this! We’ll be using one of your questions next week. 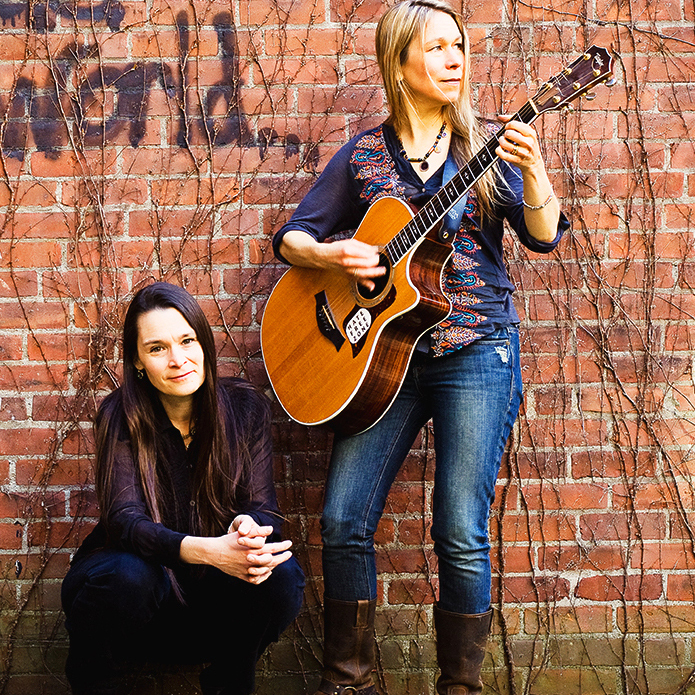 Week 6 Question: Did you/would you have a Nields song sung at your wedding? If so, which one, and why? Sarah and I met at work and worked together off and on for 7 years before we became friends. But a friendship was forming, and stories of former loves and friends who hurt us were spilling out. Then stories of our lives, loves, hopes and dreams followed. And it quickly became clear that more was developing, but neither of us was stepping up to ask the other out. Finally an opportunity came about. A Nields concert at Jammin Java in Vienna, Virginia. I had plans with old friends to attend, but we were all inviting other friends too. So I extended an invitation to Sarah, and other mutual acquaintances (thus avoiding an uncomfortable asking out situation). Only Sarah accepted. Thank goodness. It was prior to our first date, but was clearly more than our usual work friendship. I knew many of the songs, and when some of them were played Sarah would whisper to tell me she had never seen such a big smile on my face. And then a song was played that made Sarah’s smile shine so bright in the darkened space. She had never heard it before, and I had never heard it in the same way I did that night. For that reason, and for so many more we had a reading of ‘Easy People’ as part of our wedding ceremony. Some of the lyrics that connected us from that first night at Jammin Java rang true every day of our relationship, so ‘Easy People’ was also played at the reception/dinner. And these few years later, they continue to ring true on a daily basis. “We’ll be easy from now on” even in the difficult times. This week’s question was a little out there, and we weren’t disappointed with the responses. The winning answer was both fun and thoughtful. It made us think a little of that line of Shakespeare’s, about music being the food of love. Thanks to the winner and everyone who participated this week. We’ll see you again on Monday! The number of responses this week was huge! We took a walk down memory lane with a few near-forgotten favorites and were super pleased to see that the freshest pressed cuts off XVII made the list too. This week’s winner got the ball rolling for Week 1, so we’re brainstorming for something to send her way other than a download. In the meantime, here’s her awesome answer.